We are distinguished exporter, supplier and distributor of a stand alone assortment of Oil Pump Gears in Delhi, Delhi, India. 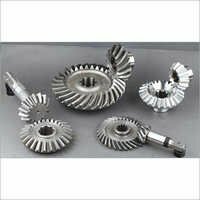 The offered Oil Pump Gears are highly admired by the customers for their super rugged and invincible performance. Available in modest market price. 2YR JEEN ENGINEERING PVT. LTD.